It’s that time of year! Bugs are coming out in droves munching on us. These DIY mosquito bracelets will help limit the number of bugs out there. 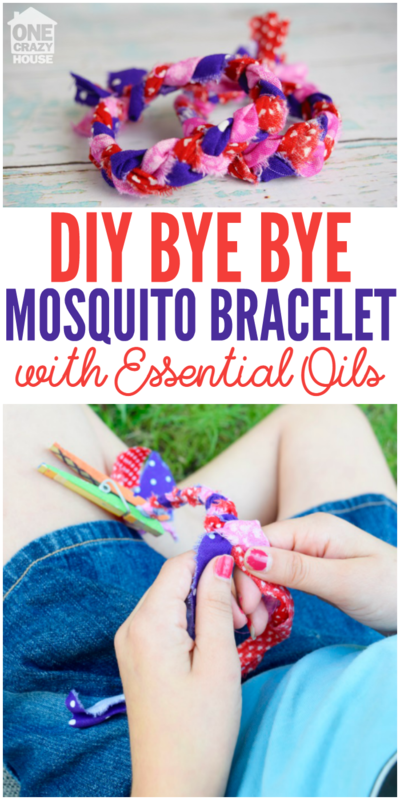 Let’s learn how to make simple DIY mosquito bracelets so we can enjoy the outdoors without the bug bites. There are two tutorials, one for the essential oil blend and the other for the fabric bracelet. Enjoy! 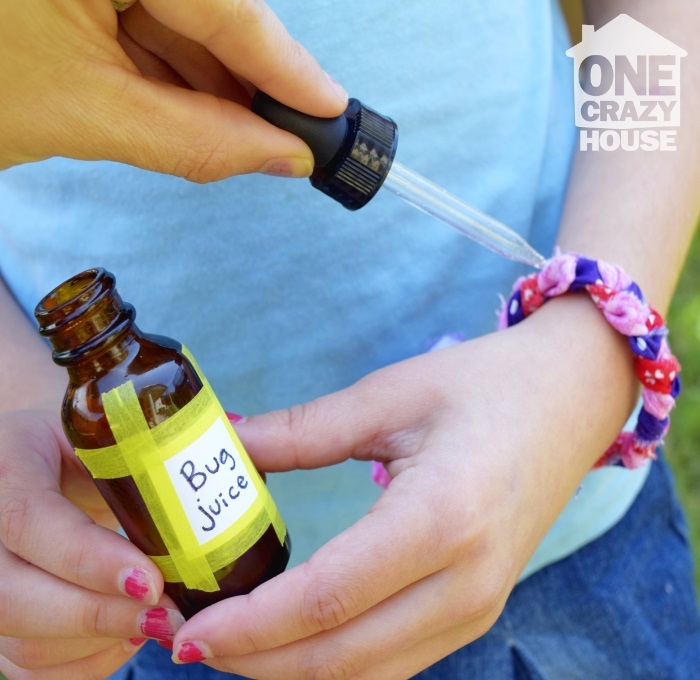 We made our bug juice from a blend of essential oils. Add 9 drops of purification and 4 drops of peppermint and 4 drops of citronella to a dropper bottle. Top it off with 3-4 tablespoons of carrier oil (ex: almond or olive oil). If you don’t have essential oils handy, you can make a less pleasant smelling concoction that is also quite effective from garlic cloves. Cut the garlic and put it in some water. Let it ferment for a day at room temperature. Then store your mix in the fridge. 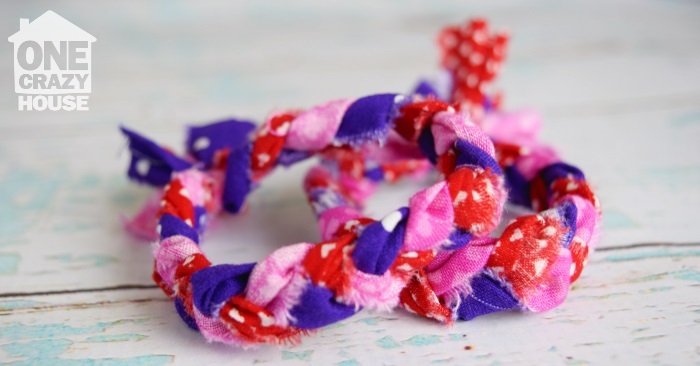 Braid strips of fabric together to make a fabric bracelet. 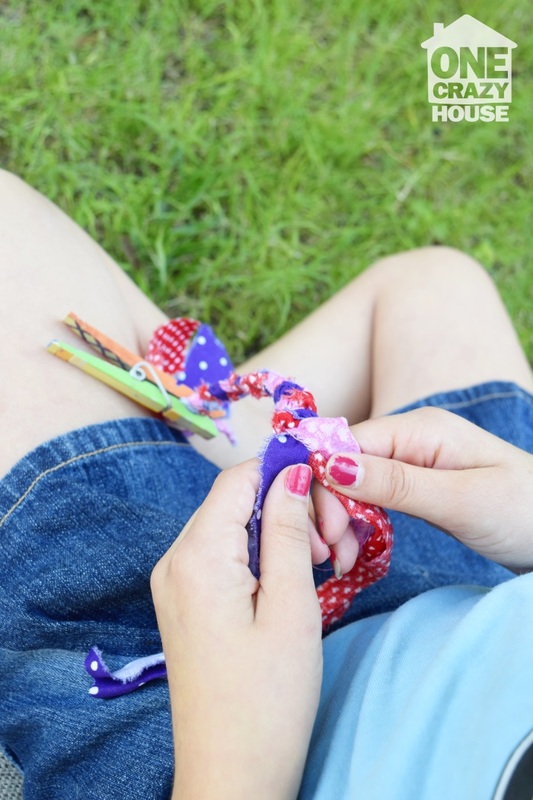 Secure the ends of your bracelet together with either a piece of string tied tightly or a small rubber band. To use your bye bye buggy mosquito bracelets, put the bracelets on and add a couple of drops of oil (or the garlic mixture). 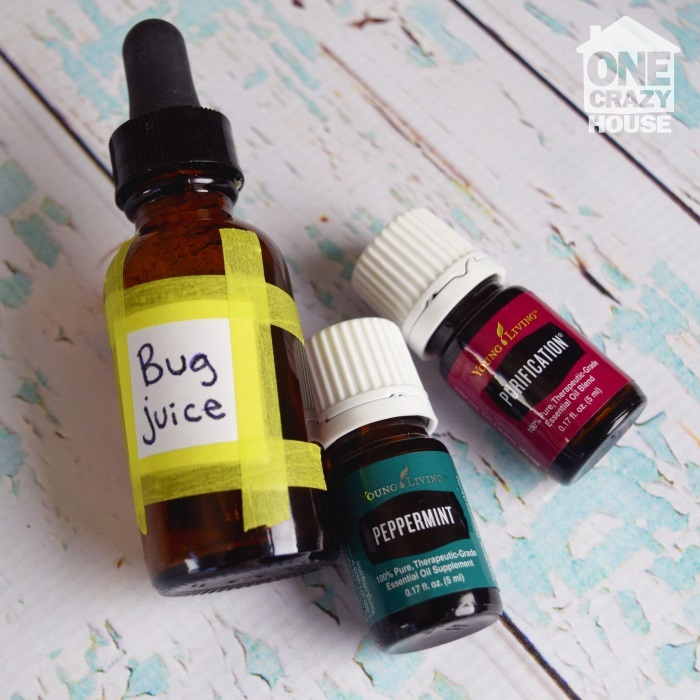 The scent of the oils will help deter the bugs and you will be less prone to mosquito bites. When the scent has left the fabric you can add more drops, in time from repeated use, the bracelet should be able to protect for up to 24 hours at a time as the fabric is saturated. 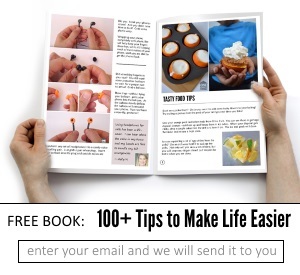 If you do get a bite, you can also use the mixture in your dropper to support your skin’s recovery. The oils have a cooling effect that feels great on bites. If you are using this mixture on kids under the age of 5, omit the peppermint oil for a less intense blend.